The Grand Budapest Hotel doesn’t come out until March 7 of next year, but luckily, there’s plenty to tide over any fan of director Wes Anderson until then. If, for example, you’ve tired of clicking on Saturday Night Live’s well-received spoof of all things Anderson, there’s also Matt Zoller Seitz’s serious stocking-stuffer The Wes Anderson Collection to pore over. 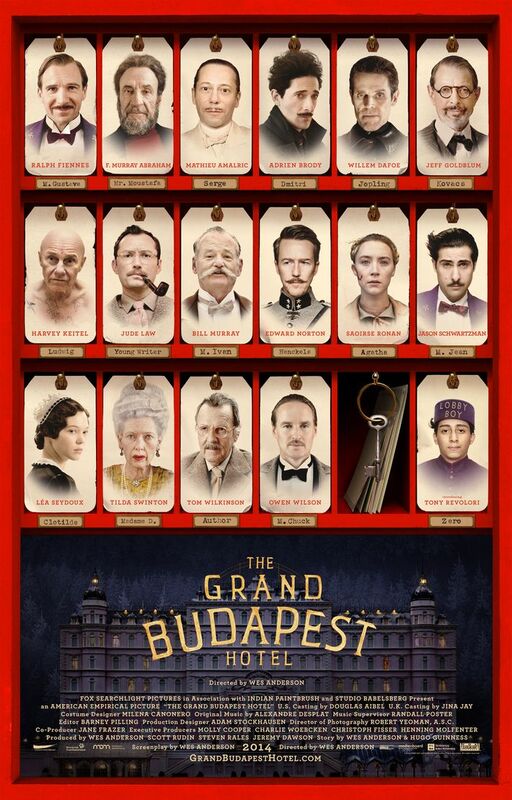 Even better, we’ve got some goodies related to The Grand Budapest Hotel itself: Tomorrow at 10 a.m. Pacific, 1 p.m. Eastern, a new “cast of characters” trailer for the movie will premiere on GrandBudapestHotel.com, and today, Vulture can exclusively debut the film’s delightful new poster. Check that out below and consider your appetite stoked for the movie, which stars Ralph Fiennes and a coterie of Anderson regulars and newcomers, including Bill Murray, Owen Wilson, Tilda Swinton, Edward Norton, and Saoirse Ronan, all of whom you’ll find in character on the poster below.